I'm writing this on saturday afternoon and I'm cold. 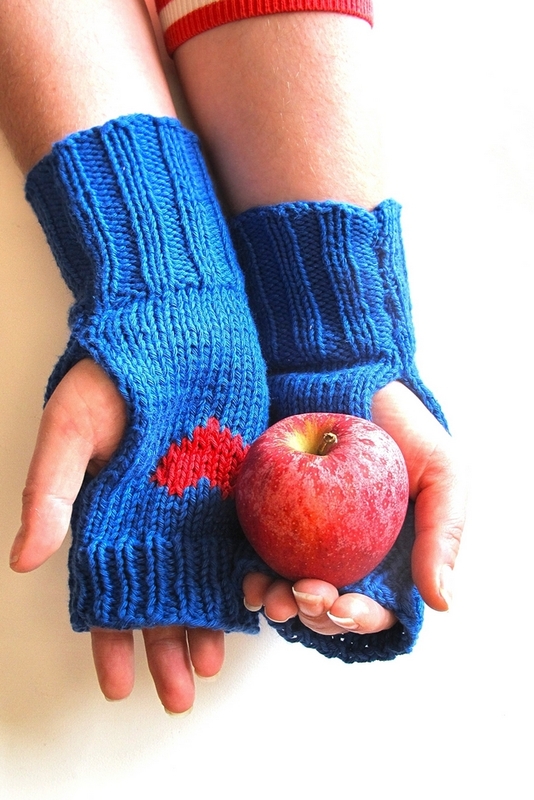 But I do have to go outside later today and I'm glad I have these gloves to accompagny me. 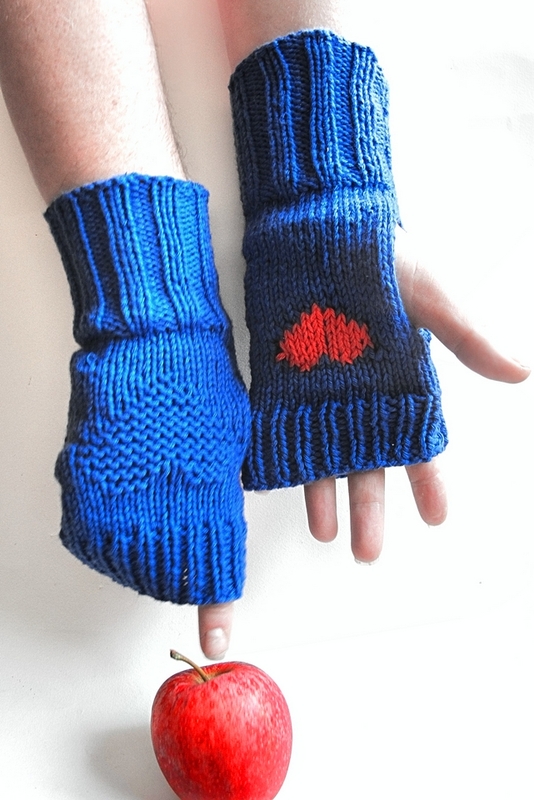 I want to start telling you that you can make as many gloves as you want with my pattern : Make them for your family, your collegues, your neighbours and of course for yourself. But don't use my pattern for commercial purposes and don't copy my pattern without linking back to the original and giving me credits for it. Deal ? Start knitting then ! 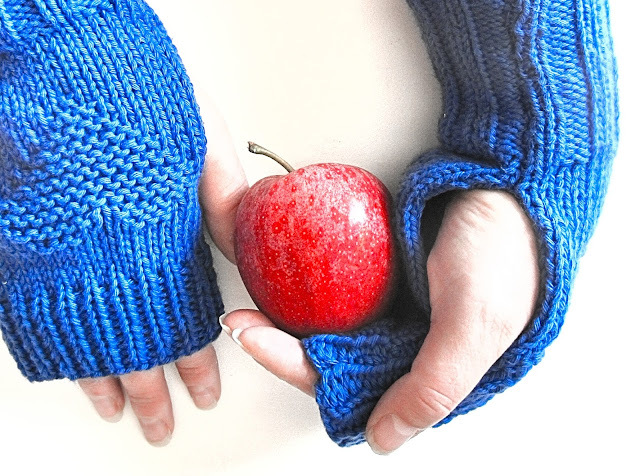 - yarn : I used a bit more than 1 skein of this blue cotton. It is thick yarn. When yours is lighter, you have to adjust the pattern. 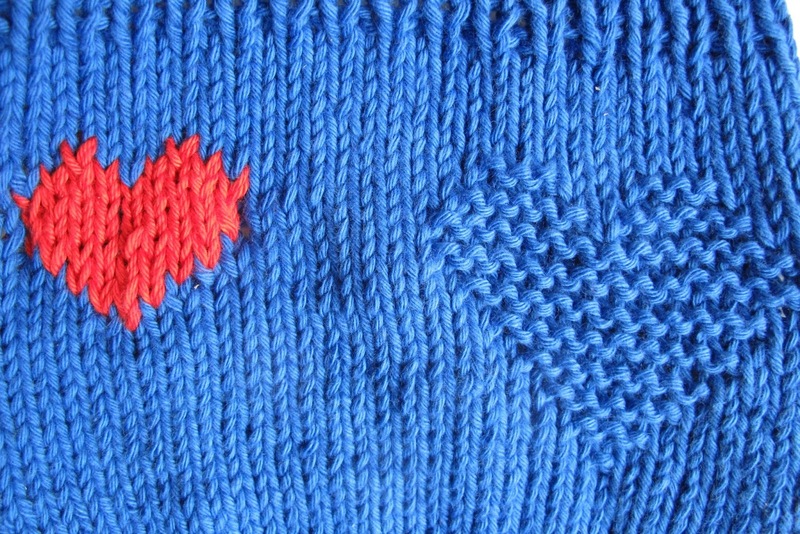 For the red heart, I used some leftover red catania yarn. 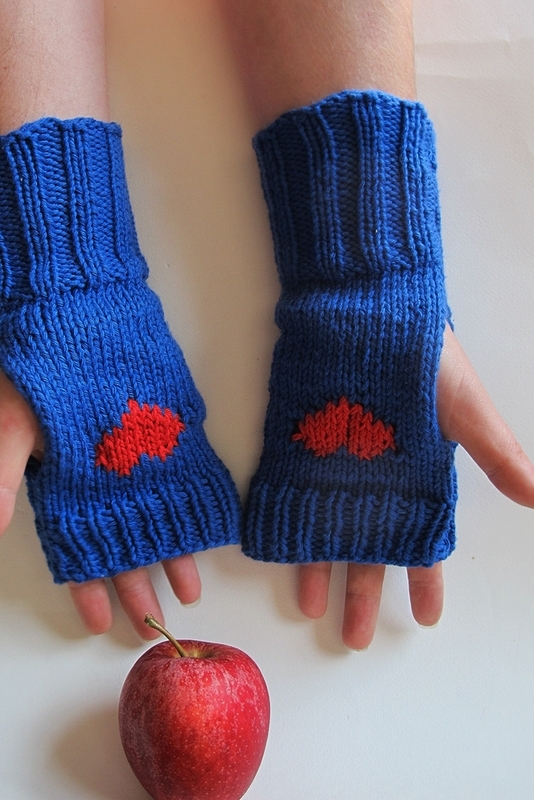 For this gloves you knit a rectangle. 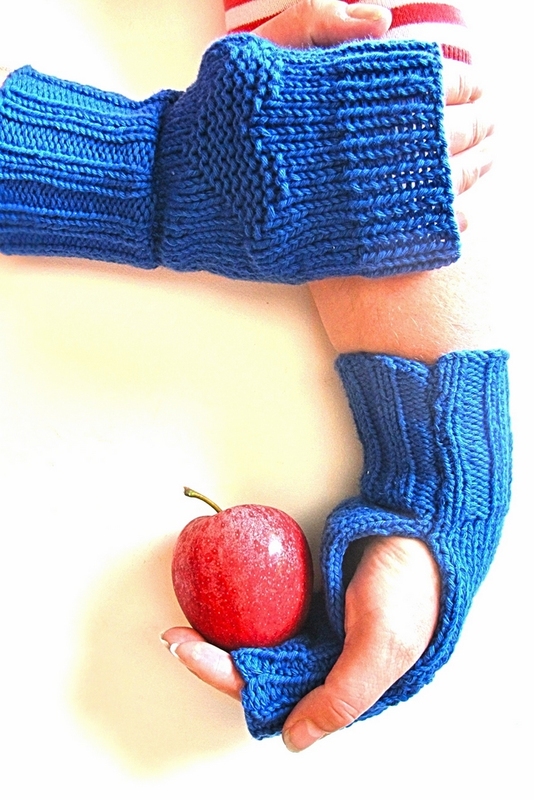 Then you close it with needle and yarn, leaving a gap for your thumb. You don't have to decrease or increase stitches. At first you knit in rib stitch and then you continue in stocking stitch and end with rib stitch. 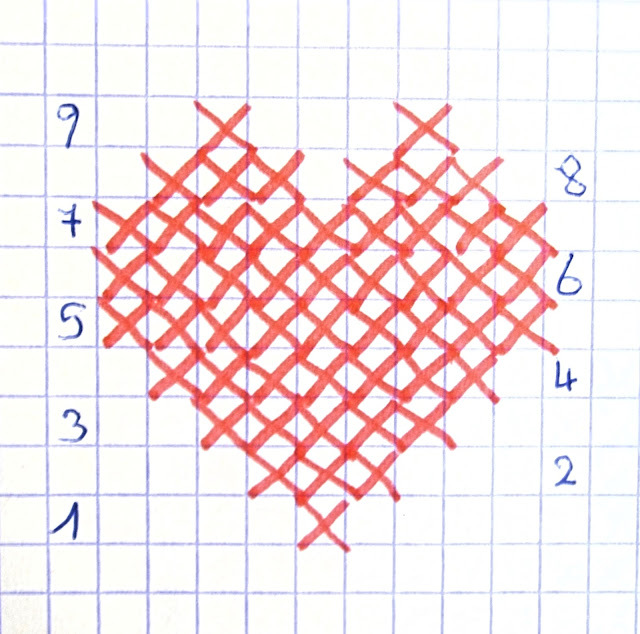 In between you add a heart in red and a heart in reliëf. 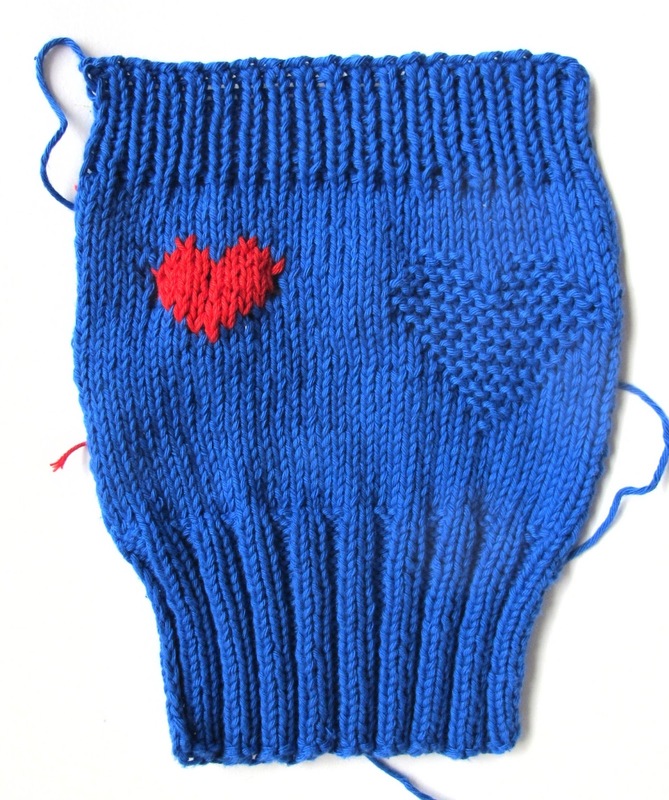 I added 2 hearts in these gloves : a big one in reliëf at the outside and a red small one on the inside. 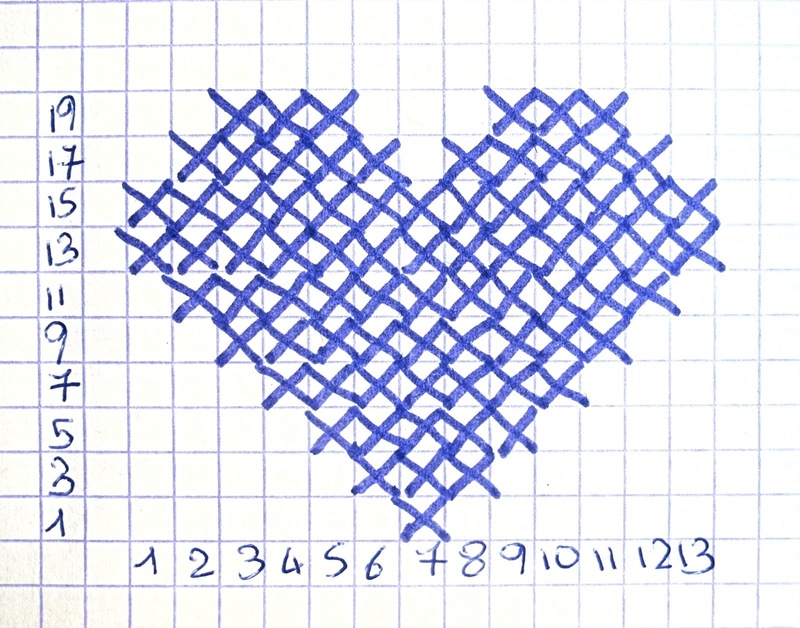 I will tell you when to start knitting these hearts but you can use these patterns in other knitting projects too. 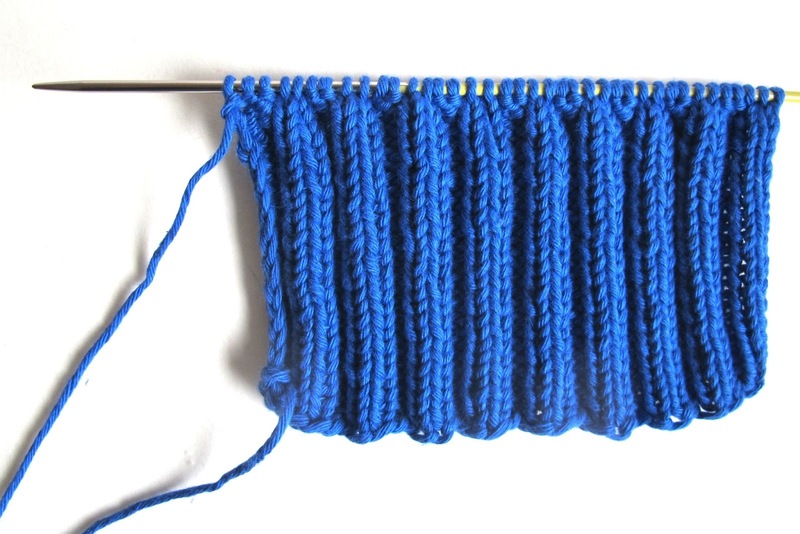 Start each row with an edge stitch : just move the first stitch from needle to needle without knitting it . I forgot to make a ' gauge ' and forgot to measure the piece before assembling it. 1. start with the edge : take needle number 3 and cast on 38 stitches. 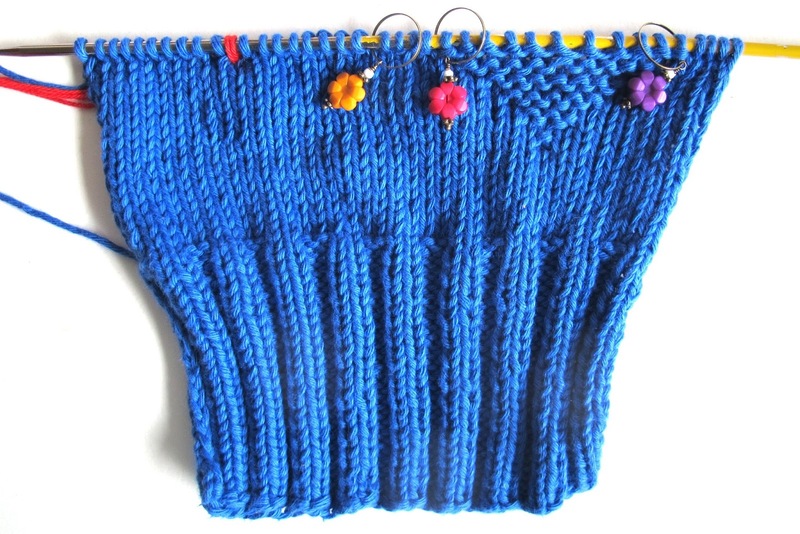 Knit the rib stitch for 26 rows. My rib stitch = 2 knit and 2 purl. But don't forget the edge stitch ! I like to knit the edge with a smaller size of needles because the edge will be a bit smaller than the rest of the glove . 2. Take needles number 4 and continue with the stocking stitch ( = one needle in knit, 1 needle in purl ). 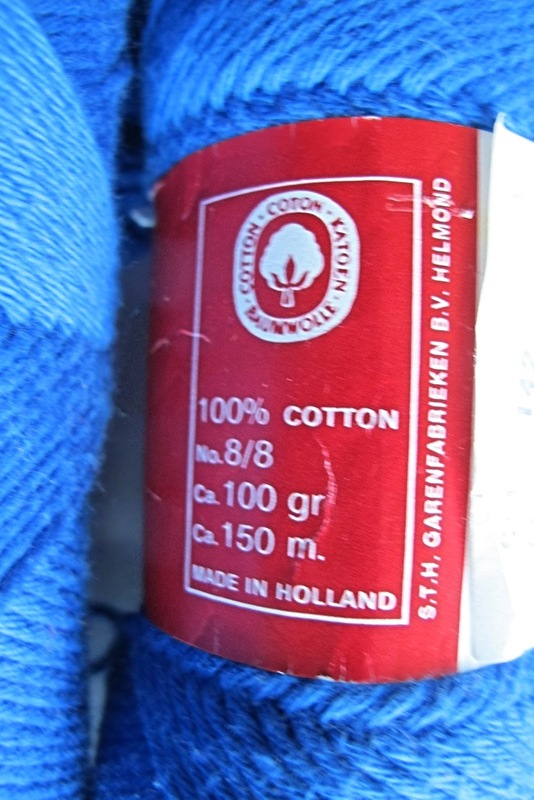 From this moment on the pattern for glove one is different than the pattern for glove 2 = mirror images. in row number 9 in stocking stitch you start knitting the heart in reliëf. 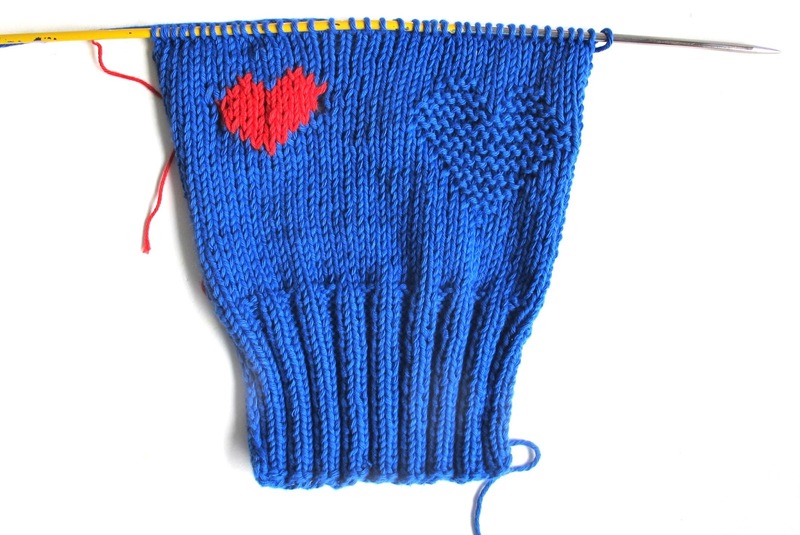 You do this by knitting a heart in purl stitch instead of knit stitch . 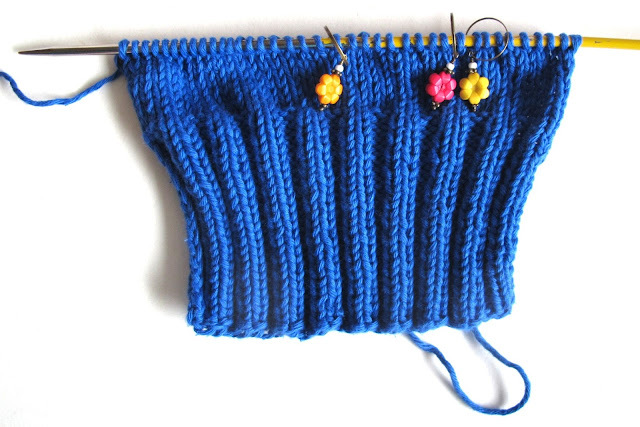 The tenth stitch of row 9 you knit in purl stitc and the oters in knit stitch. That's the bottom of your heart shape. The even rows you knit the purl stitch. 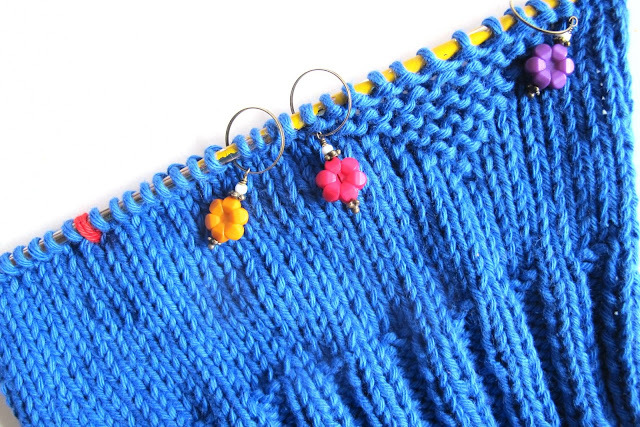 The odd row, you knit the pattern from above in purl stitch. Om zeker geen fouten te maken gebruik ik graag steekmarkeerders. Ik hang er eentje in het begin van mijn tekening en op het einde van mijn tekening. En in dit geval ook 1 helemaal in het midden van mijn breiwerk. Je kan zelf steekmarkeerders maken. 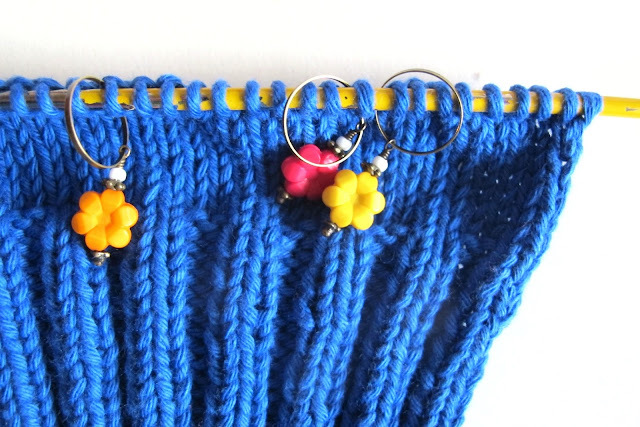 To make sure not to make mistakes, I use stitch markers at the beginning and the end of the heart and 1 in the middle of the row. 3. You start knitting the red heart when you reached row ( in stockig stitch ) number 19. 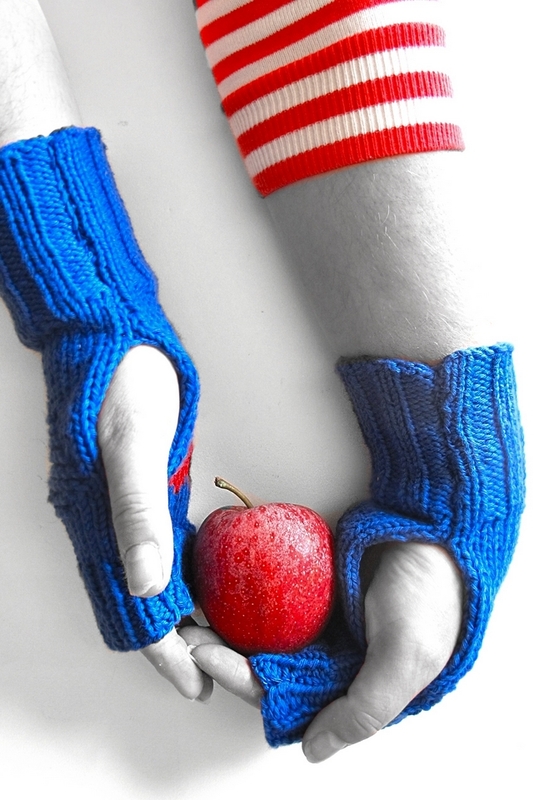 Because my red yarn was a lot smaller than the blue one, I used it double. Knit stitch 27 in row 19 in red. Don't forget the heart in reliëf ! 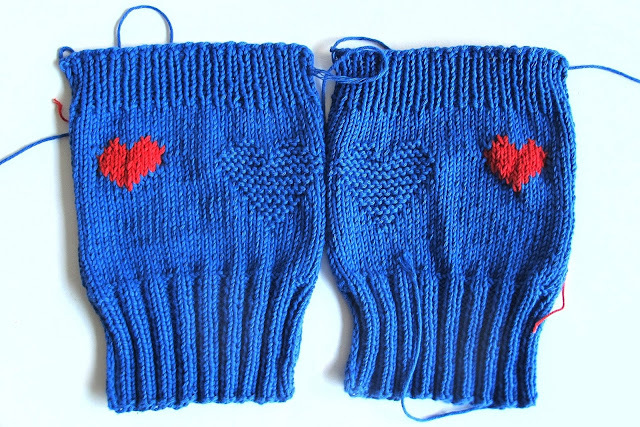 You have to knit both hearts the same time ! Na 10 rijen boordsteek hecht je los af. Ik leg de nadruk op los omdat er anders niet voldoende veerkacht in je rand zit. 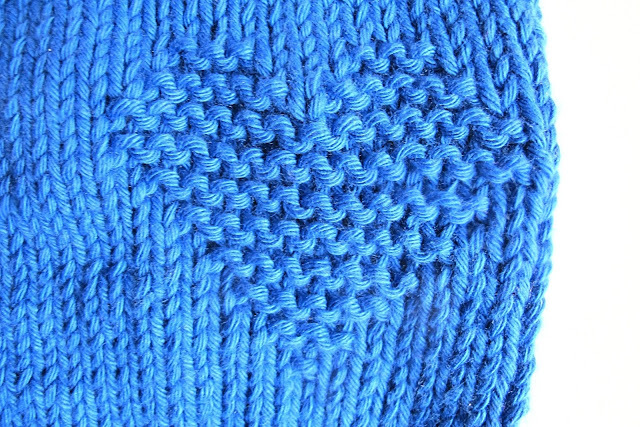 4. keep on knittig the patterns and the stocking stitch till row 35. Knit 10 rows and cast off. Fix loose ends and sew both sides together with a running stitch. Leave a gap for your thumb. Knit the second one the same way , but make sure the hearts are opposite to each other compared with the first glove. The reliëf heart starts now in row 9 stitch 28. Voila , That's it ! Believe me : it sounds more difficult than it is ! Wat een leuke wantjes!! En wat leuk dat je het patroon deelt!! 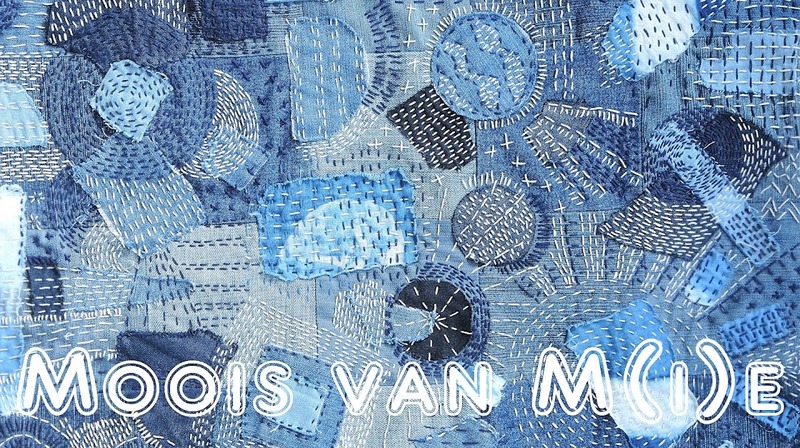 Mooi gemaakt met die hartjes in het rood en in een andere steek van dezelfde kleur. Echt heel mooi!! En met dit weer kun je ze goed gebruiken ;-). Очень понравился гном Ваш!!! !хорошая работа!!! Мне понравилась Ваша работа! Красивые митенки! Отличная идея!